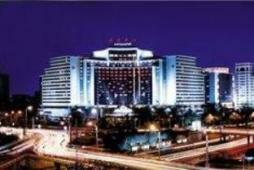 Beijing Qinglan Hotel is conveniently located just to the southwest of Dong Si Shi Tiao Bridge on the second ring road. This is at the beginning of Ping An Street. 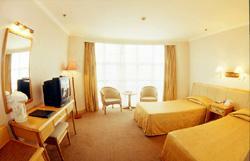 It's a 3-star hotel offering accommodation, conference facilities, a business centre and restaurant. 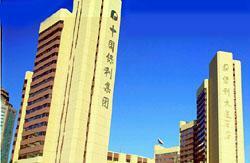 Beijing Qinglan Hotel is ideal for both business and leisure. 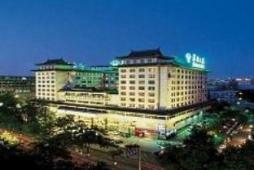 Beijing Qinglan Hotel is to the east of Wang Fu Jing Commercial center, and it takes less than ten minutes by taxi to get Tian An Men Square, the Forbidden City, Bei Hai Park and Shi Cha Hai Recreation Area. To the east is the Beijing CBD Commercial District and the International Exhibition Center, the famous San li Tun Bar Street and the Embassy Area all of them are in walking distance. It only takes you about half an hour to travel by car to the Capital Airport. Staying with them, you can enjoy the prosperity and convenience of a big modern city, and you can also experience the traditional Chinese cultures and beautiful scenery nearby. Beijing Qinglan Hotel is one of the major buildings along the Ping An Street. Each of the hotel's 150 well-appointed rooms, including single rooms, standard rooms, business standard rooms, business suites and luxurious suites, is well equipped with business facilities, such as IDD and DDD phone line, broadband internet with safe, regional electronic control, and home facilities, which makes it possible for you to communicate with the outside world in the hotel room. The hotel has the lobby bar, Chinese Restaurant, Banquet Hall and 5 meeting rooms of different sizes, with a capacity ranging from 20 to 500 people. It must be your ideal choice to hold meetings here.